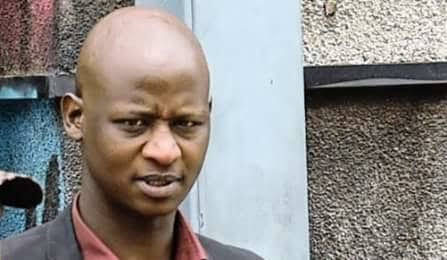 Former Johannesburg ANC Youth League leader, Patrick Wisani was on Thursday, May 11 sentenced to 20 years imprisonment by the Johannesburg High Court for the murder of his girlfriend. 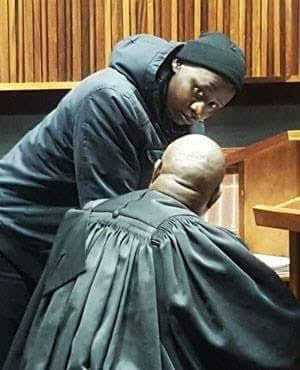 Wisani was found guilty in November of the murder of Nosipho Mandleleni‚ whom he beat to death with a sjambok and broomstick in the room they shared in Yeoville‚ Johannesburg‚ in September 2015. Madleleni died from excessive loss of blood and blunt force trauma. Close monitoring of case by civil society helped ensure justice. The trial, which endured a number of postponements, was closely monitored by civil society including Sonke Gender Justice, Awethu!, Peace and Justice, Lawyers for Human Rights, People Opposing Women Abuse, and the Inner City Women’s Forum. He was also convicted on two counts of assault and intimidation after he assaulted Mandleleni's twin sister‚ Siphokazi Mandleleni‚ and her friend‚ Zimbini Mathibe‚ outside a club in Johannesburg on May 22 this year. He threatened Siphokazi not to testify against him. His R3000 bail was revoked for contravening his bail conditions. Judge Mohamed Ismail sentenced Wisani to 20 years' imprisonment for murder‚ one year for intimidation and another year for assault. The sentences will run concurrently. "The manner in which the deceased was beaten indicates that he [Wisani] was propelled by anger. "The deceased's death was not instantaneous. It was a painful and agonising‚ slow death‚" said Ismail. He found that Wisani had not shown any remorse and was arrogant. "His behaviour shows disdain towards women. It has no place in our constitutional dispensation." Ismail said he had considered that Wisani was a first-time offender and he is capable of being rehabilitated. We would have wanted a harsher sentence for such a despicable crime, however we hope that the 20 year sentence sends a clear deterrent message that violence against women will not be tolerated, no matter who the perpetrator is and no matter what their connections to police and government officials."